This shack is listed as a two beedroom fixer and is described as a distinguished home in need of work. 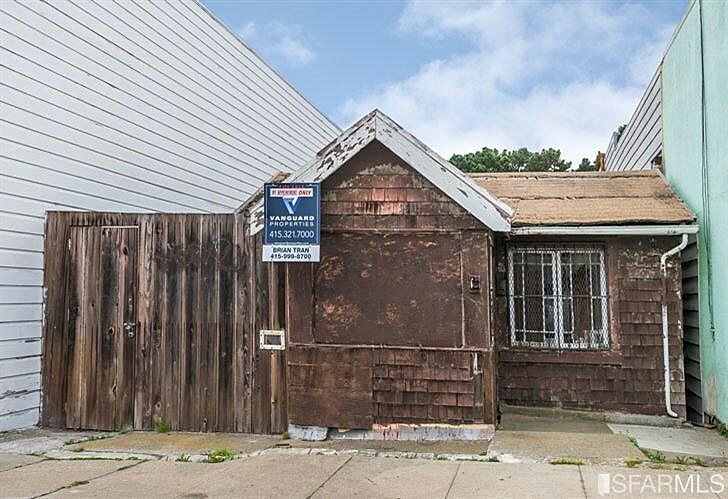 At the very least, it gives a look at how bad San Francisco's housing market is. The average rent for an apartment in San Fran is $3,458 with the median home price somewhere over a million dollars. In order to live comfortably, it is estimated that you would need to earn at least $200,000 a year. For just $350,000 you can own this home. Built in 1906, this two bedroom one bathroom has 1,633 square feet and a steep asking price. Read more about the listing at Zip Realty.